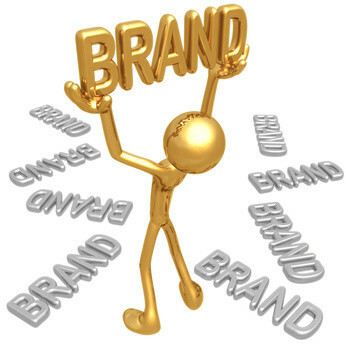 A brand is a prestigious asset of any organization. It could be anything from name to design; usually, brand is referred to the design, symbol or any other feature which can identify one seller’s product or service as different from other sellers who deal in the same product. The outward expression of a product like trademark, communication, visual appearance and name is brand identity. It reflects how an association wants to be professed in the market. Organizations needs to communicate with consumers through marketing strategies and branding. It may include elements such as brand culture, brand vision, personality, positioning, presentations and relationships. There is a strong link between brand image and brand identity. Normally, brand identity develops from the company but brand image is acknowledged by the customer. With the help of brand identity you can showcase the firm’s reality. It leads to brand preference and brand loyalty, good prices, high credibility and good financial returns. A successful product identity will depend on some of the key characteristics like repetition, consistency, uniqueness, meaningfulness, memorability, personality, professionalism and honesty. The above key elements will help you promote your product to the target customers without struggling hard. A brand is like a promise, imagine some of the top products and you will immediately understand the importance of branding (Apple, MetLife, McDonald, Coca Cola, Ford and Budweiser). It might be a combination of price, service, words, logo, font and colors. Effective branding will build a strong link between brand personality which is professed by target customers and the actual services or products. There are different types of branding strategies available like individual branding, company name, iconic branding, attitude branding, derived brands, private labels and multi-brands. If you want to attract potential customers to your association, adopting the perfect brand strategy is essential. Based on the business needs, you have to select the best one. Make sure that product values have to be more than the set of rules. Before applying brand strategy to your product or service, you have to define your brand, which starts with mission, vision, values, core purpose, authenticity and character. Treat your product as your brand model which can maximise the potential of the product. Make sure that branding is a process, not a race or event. Stay with flexible and relevant branding for few years to increase your brand image. A strong product should have unique, sustainable and credible place in consumer’s mind. Your brand strategy should reflect your association’s thoughts and ideas. You need to compel the customers what your brand stands for; otherwise you may not be successful in developing your brand strategy. A positioning strategy should involve a successful brand strategy or you may not deliver your intention to the target audience. You may come across financial difficulties, coping with your day-to-day business needs. You may have to approach a banker for loans; ensure that you take payment protection insurance along with it. Consult with the bank people regarding ppi claims and terms and conditions of such Insurance. This guest post was contributed by Lucy, financial guest blogger from Manchester, UK. Find out more about her blogs @financeport.